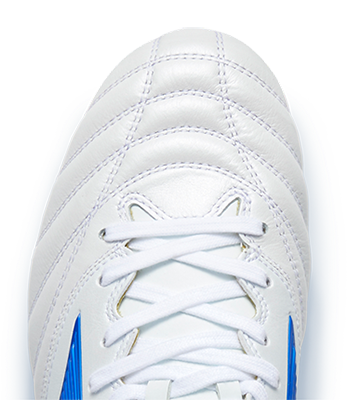 Power through the opposition with the Wave Stealth V. The Wave Technology in the midfoot plate provides all the cushioning and stability necessary for professional level plays, while the Dynamotion Groove enhances flexibility in the forefoot and maximises ground contact for your most agile performance to date. SR Touch inserts provide colossal force in the push-offs, allowing for maximum strength in your movements. Stability is enhanced by the new external heel counter, working alongside the mesh upper for a breathable feel. Best-in-class for stability and cushioning thanks to Mizuno’s Wave technology. A performance outsole component that enhances traction where needed most. Dura Shield protects your toes and increases the product durability.